It’s an exciting day at The Pink Bungalow! As a Valentine’s Day gift to my fabulous followers you can now shop Lycette Designs directly through Lycette’s online store! Although Lycette is now selling direct, we will be continuing our relationships with needlepoint brick and mortar stores across the country. In fact, it is only through trunk shows at brick and mortar shops that you will find Lycette’s canvases at a discount. In addition, Lycette’s online store will only offer canvases, not fiber. Through Lycette’s online shop I hope to connect consumers to Lycette’s core mission of inspiring a new generation of needlepointers. 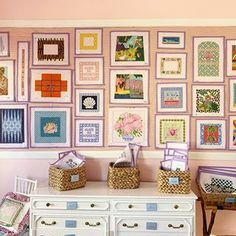 I believe it is through a combination of online accessibility to canvases and the warm communities at our local needlepoint shops that our beloved hobby will attract new needlepointers and retain devoted stitchers.